The Liberal Party’s final federal budget before the 2019 election, Investing in the Middle Class, touches on issues of student loan debt, employment, and housing—all hot-button topics for today’s emerging adults. “We are investing in the middle class and their future so that when young people graduate from school, they’ve already got the experience they need to get a good job—with student debt they can afford to pay down, and a real chance at owning their own home,” wrote Finance Minister Bill Morneau in a prepared speech to the House of Commons last Tuesday—a speech he did not have a chance to deliver. The budget speech was drowned out by Federal Conservatives, who banged on their desks and shouted over Morneau, often repeating the phrase “let her speak” to return attention to the SNC-Lavalin affair occupying federal politics for the past few months. Conservatives then proceeded to walk out of the House of Commons. The budget was tabled despite the interruptions. So, what does this budget mean for students? The budget promises to lower the floating interest rate (“the rate chosen by approximately 99 per cent of Canada Student Loans borrowers,” according to the budget report) to prime over the next year, knocking off the 2.5 percentage points above prime that students are currently paying. The fixed interest rate will be lowered to prime plus two percentage points, from its current rate of prime plus five percentage points. The budget will also make the six-month non-repayment “grace period” after a student leaves school interest-free. Student borrowers with disabilities will see an increased upper limit on the Canada Student Grant for Services and Equipment for Students with Permanent Disabilities from $8,000 to $20,000 per year. The federal budget will also expand the scope of eligibility for the Severe Permanent Disability Benefit—which will allow more students with disabilities to qualify for loan forgiveness. Graduate students can expect increased financial support as the government plans to pour $114 million into government grant programs for master’s and doctoral scholarship awards. The federal government is also promising to work with Indigenous communities to support Indigenous post-secondary students. The budget outlines its plans to invest $327.5 million over five years to “renew and expand funding” for the Post-Secondary Student Support Program, which according to the program’s webpage “provides financial assistance to First Nations and eligible Inuit students who are enrolled in eligible post-secondary programs.” The budget also states that it will be investing $125.5 million over 10 years and $21.8 million per year ongoing in an “Inuit-led post-secondary education strategy.” $362 million over 10 years and $40 million per year ongoing will be invested in a “Métis Nation-led post-secondary education strategy” as well. The government has also pledged to provide Indigenous-led charity Indspire, which focuses on providing financial assistance to Indigenous students, $9 million for additional bursaries and scholarships. In employment fields, the budget aims to invest in expanding the Student Work Placement Program. Though much of the budget seems to focus on STEM-field employment opportunities (including investing $60 million over two years in the CanCode program, which teaches young Canadians coding and digital skills), the budget promises to invest $631.2 million over five years in the Student Work Placement Program to support “up to 20,000 new work placements per year […] in all disciplines, by 2021-22.” The budget will also be investing $49.5 million over five years in updating and modernizing the 1997 Youth Employment Strategy. Part one of the first chapter of the budget report, titled “An Affordable Place to Call Home,” attempts to address the current housing crisis in several ways. First, it introduces the First-Time Home Buyer Incentive, which would allow eligible home-buyers to apply to have a portion of the purchase financed through a shared equity mortgage with the Canada Mortgage and Housing Corporation. Next, the budget proposes to increase the number of rental housing units across Canada and launch an “expert panel” to examine housing supply and affordability, while continuing to maintain the National Housing Strategy launched in 2017. Finally, the budget promises to level the housing market playing field by cracking down on tax avoidance and real estate financial crime. Reactions to the budget have been mixed, with some praising the focus on issues affecting young Canadians and others expressing concerns that it’s not enough. One disappointment in particular has been the budget’s response to calls for a National Pharmacare program. While the government takes tentative steps in that direction, in the meanwhile the budget proposes the creation of a Canadian Drug Agency which would monitor and negotiate to lower drug prices for Canadians. “This is a budget that gives crumbs to Canadians when this government has already given entire pies to the wealthiest,” said NDP leader Jagmeet Singh at a press conference last Tuesday. 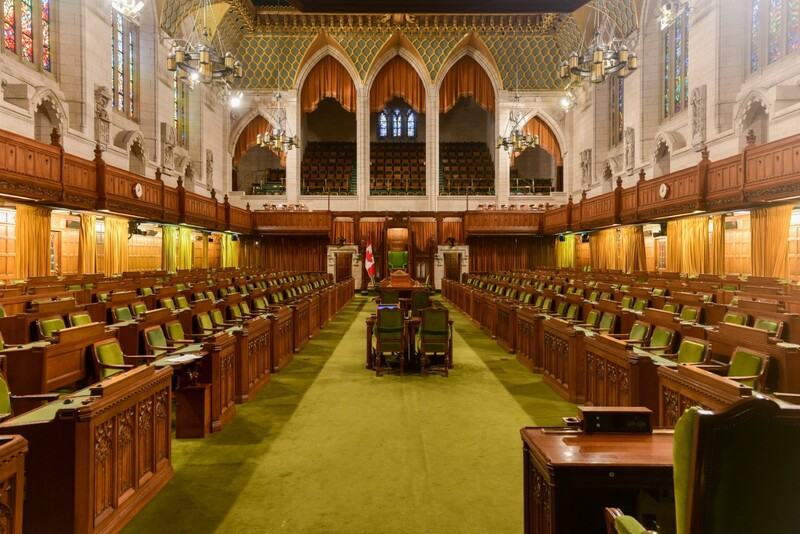 With the fall federal election looming large on the horizon, the 2019 budget is sure to affect the vote one way or another.